Whether you're planning a short stroll through the woods or a strenuous all-day trek, make it a priority to pack proper nutrition to fuel your hike. Stopping for lunch often marks the midpoint of a hike and is a good opportunity to replenish nutrients and stoke up for the return trip. A mix of complex carbohydrates and protein gives you the energy you need to sustain physical activity. Pack plenty of water for essential hydration, particularly when you won't be near a potable water source. Perishable food is fine to bring on a day hike as long as you have the means to keep it cold and the room for it in your pack. 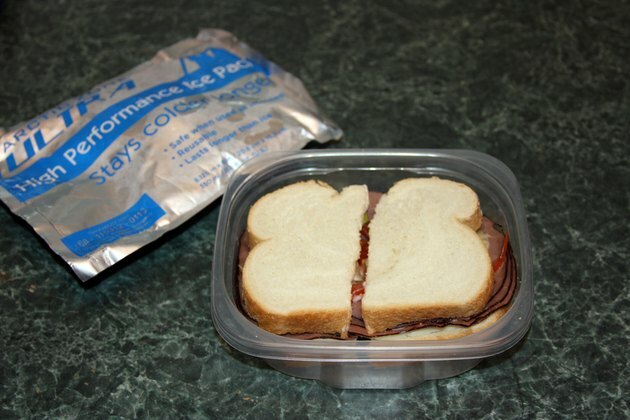 Store perishables, such as sandwiches, in an insulated container with an ice pack. Bags of frozen fruit or boxes of frozen juice will keep foods cold for a few hours and thaw by lunchtime. Keep foods made with meat, eggs or mayonnaise cold until eaten. Stick with whole grains and complex carbohydrates, such as fresh fruits and vegetables. Complex carbs release energy more slowly than simple carbs, which allows you feel fuller for longer. Avoid foods with too much sugar. Although simple sugar gives you an energy boost initially, your energy level will be significantly lower later on, says Janet Seiber, a registered dietitian with the University of Tennessee Medical Center. 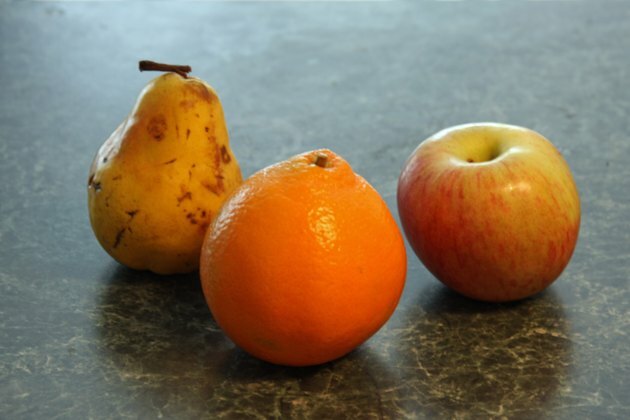 Fresh fruits, such as apples, oranges and pears, hold up well in a pack, as do fresh vegetables, such as carrots and broccoli. Use a hard-sided container for softer produce, such as cherry tomatoes, grapes and plums. Pack whole-grain crackers or sandwiches made with whole grain bread. Shelf-stable pouches of tuna are ideal for a hiking lunch. Serve tuna with cheese slices and whole-grain crackers, which provide filling protein and fiber. Bring along a small, plastic jar of peanut butter to go with the crackers for additional protein. Hard-boiled eggs are compact and convenient. 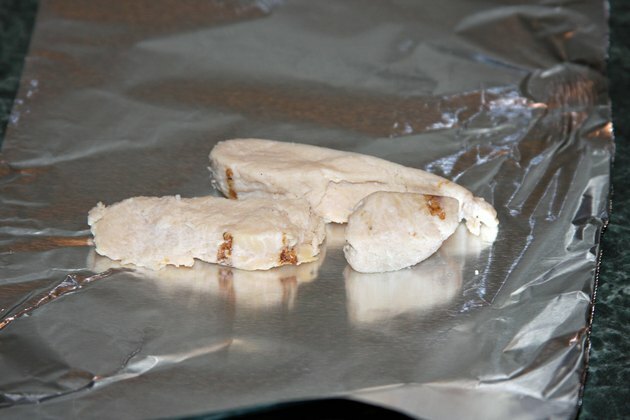 Wrap bite-sized pieces of cold, roasted chicken in aluminum foil and store it in an insulated container for traditional picnic food. You need a certain amount of fat for energy when hiking. The American Hiking Council recommends packing fats that burn slowly, such as cheese and nuts. 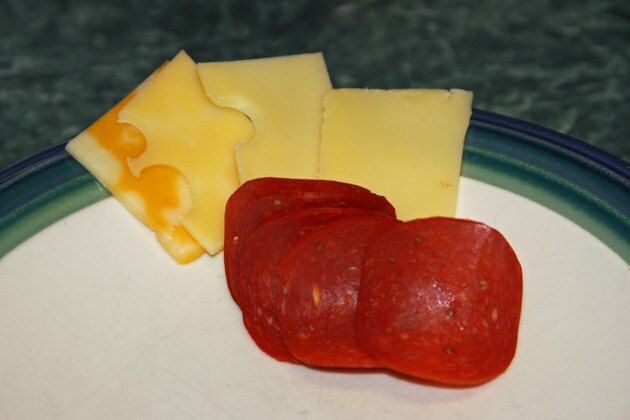 Hard meats such as pepperoni and salami travel well, but eat them sparingly because they can be high fat and high in sodium. Bring beef summer sausage, which is often packaged in shelf-stable rolls that don't need to be kept cold. 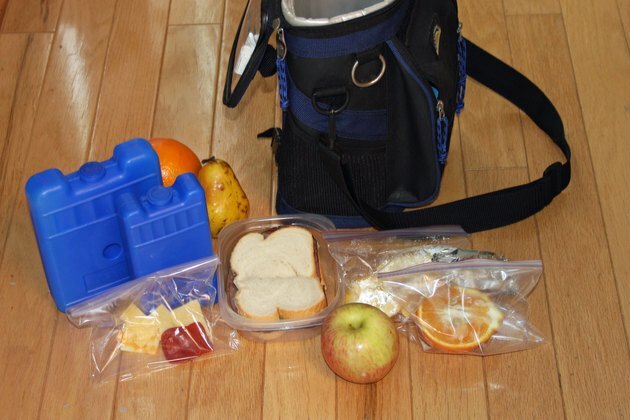 Pack harder cheeses, such as cheddar or slices of provolone, as they will be easier to eat on the trail, and keep them in your cold, insulated container. Walnuts and almonds are heart-healthy nut choices.